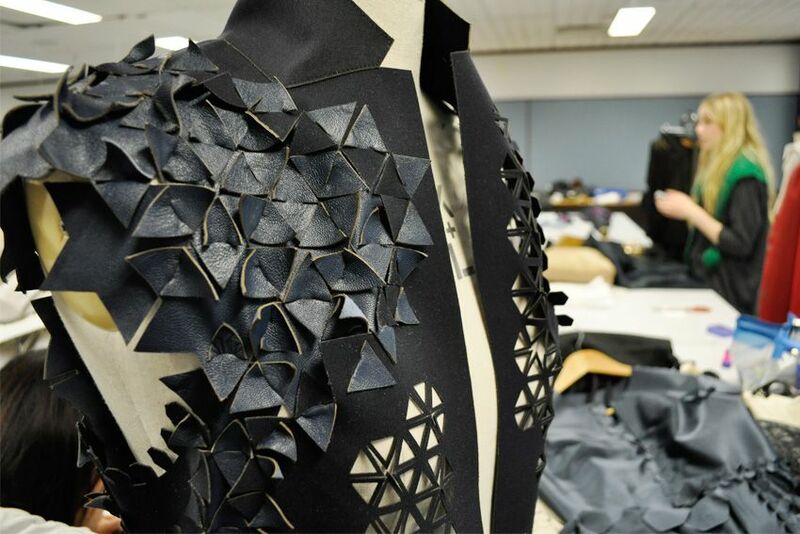 Using laser cut (new technology) to push the boundaries of clothing design. Cathy's work is inspired by Architecture. The 3D forms and cut outs remind me of Federation Square but also the cut outs remind me of stained glass windows in a church. Cathy was working on a new toile when I visited which you can see has the same curved shape as the front piece. 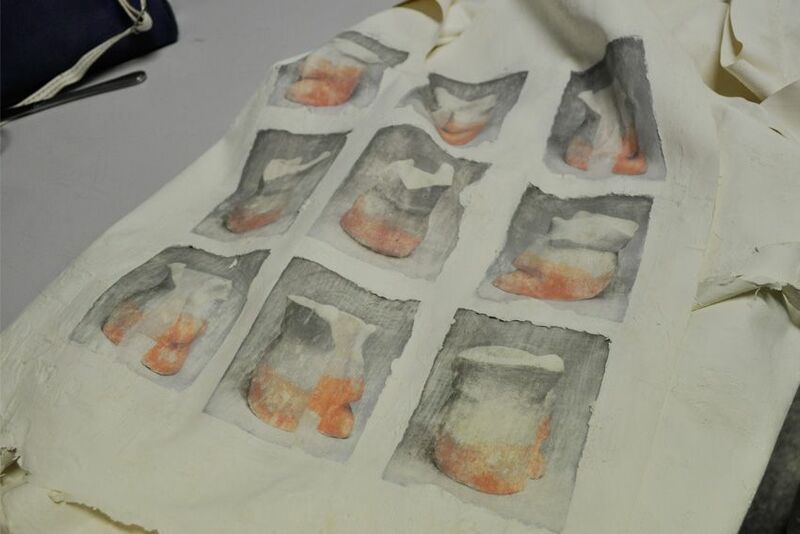 Finished pieces from Cathy's graduate collection - they quality of the finish of her work is amazing. 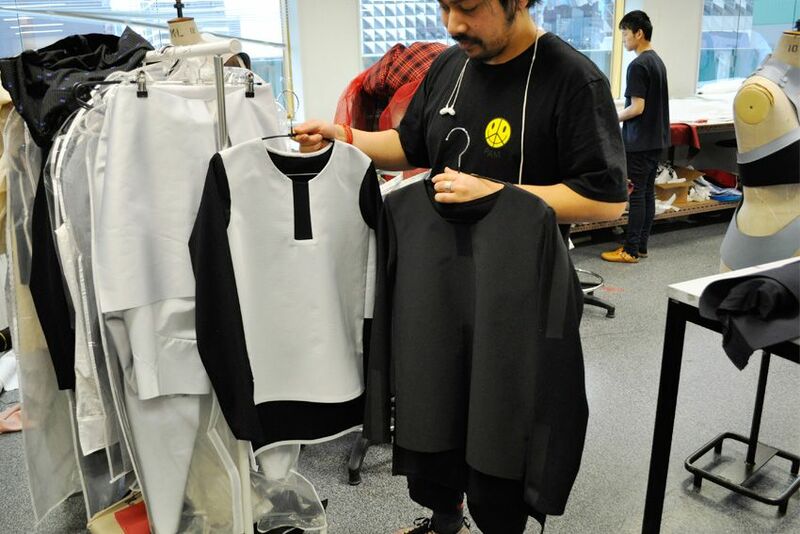 Dara's graduate collection is LED powered menswear using reflective materials. 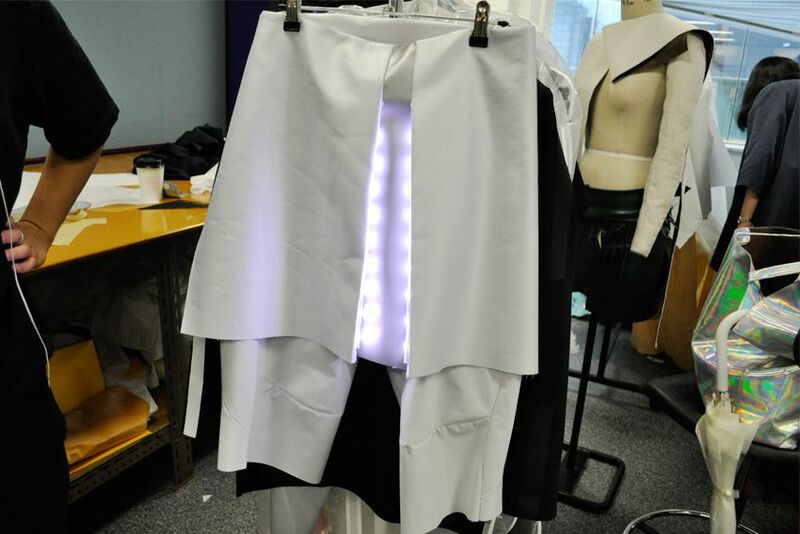 Dara collaborated with RMIT Industrial Design student Dan Vaugh to create his LED menswear skirt. 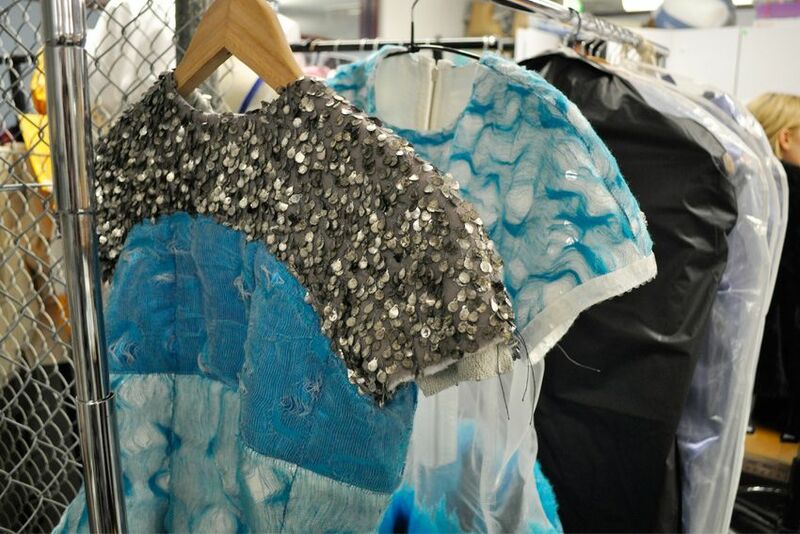 Jack's collection uses lustrous blues inspired by the ocean. 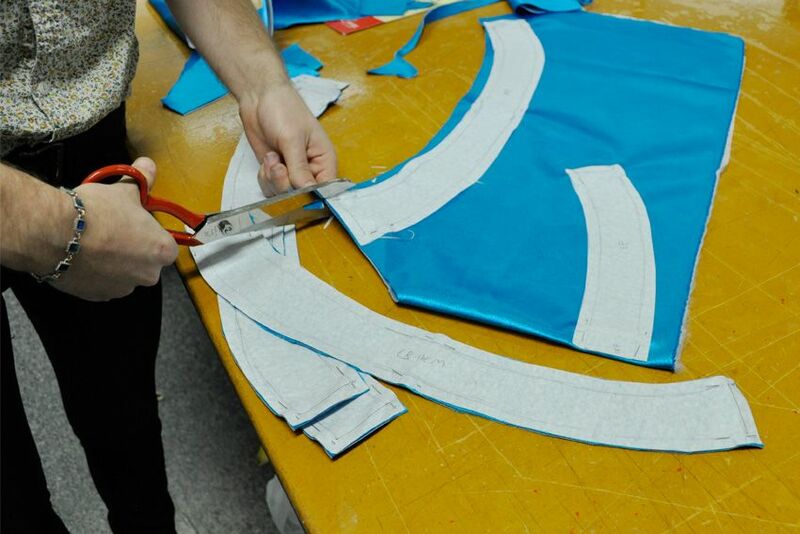 When I stopped by he was cutting out new pattern pieces. He said this was 'boring cutting' and apparently for fashion design students there is also interesting cutting - you learn something new every day. 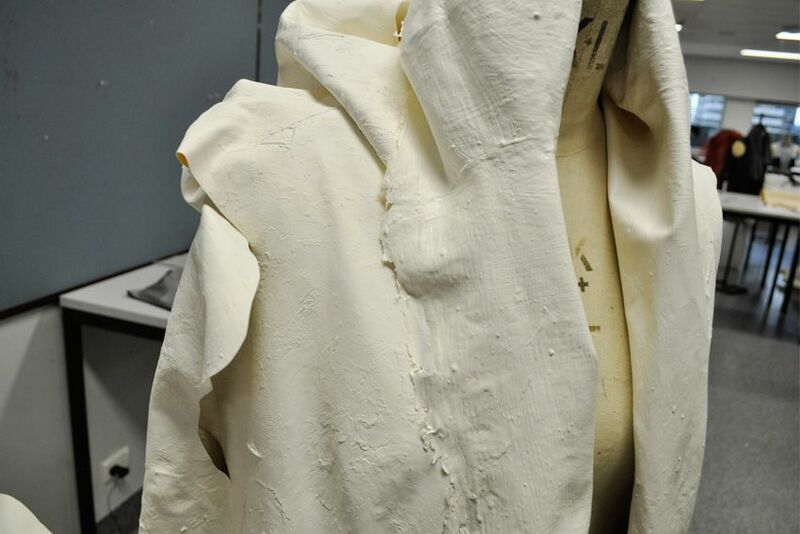 Using felting, ironing on to seams to blend fabric together, Jack has been able to create this beautiful texture. 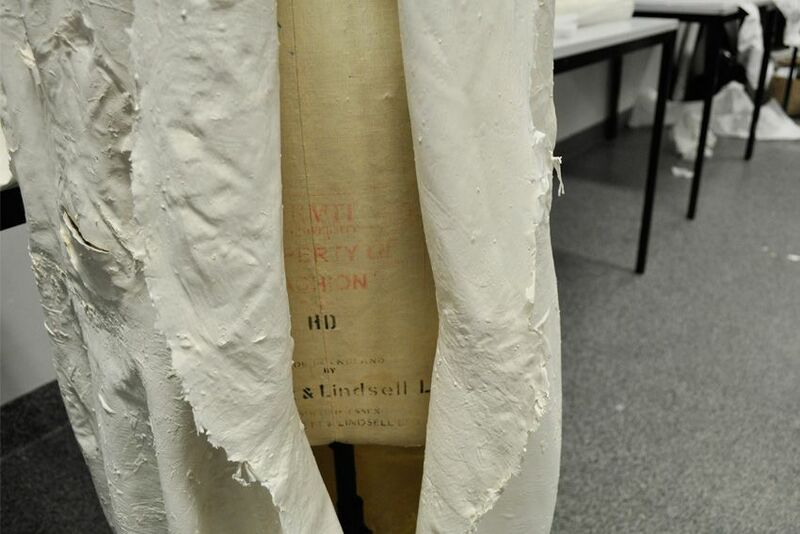 This piece in Molly's graduate collection was made using a mould of a body and then latex and pain is applied to give it form and texture. 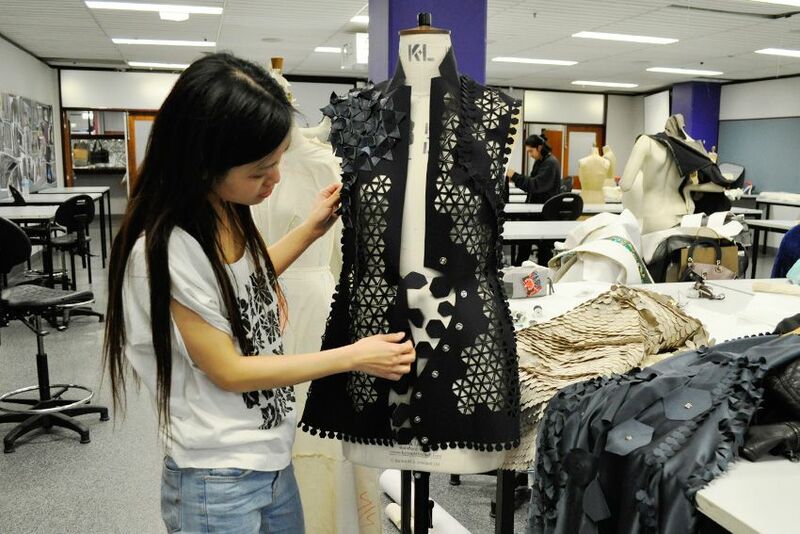 Other pieces in her collection are screen printed. Screen print of the mould. 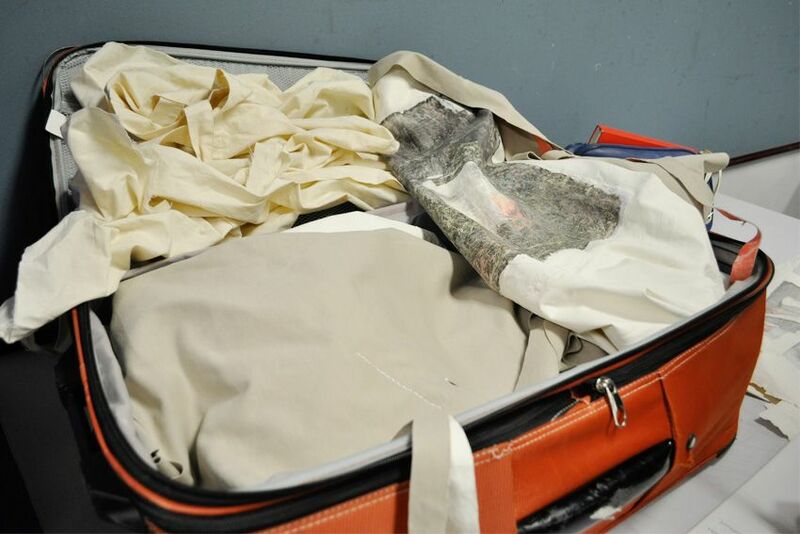 The latex and pain create interesting texture. Raw unfinished edges add to the texture. 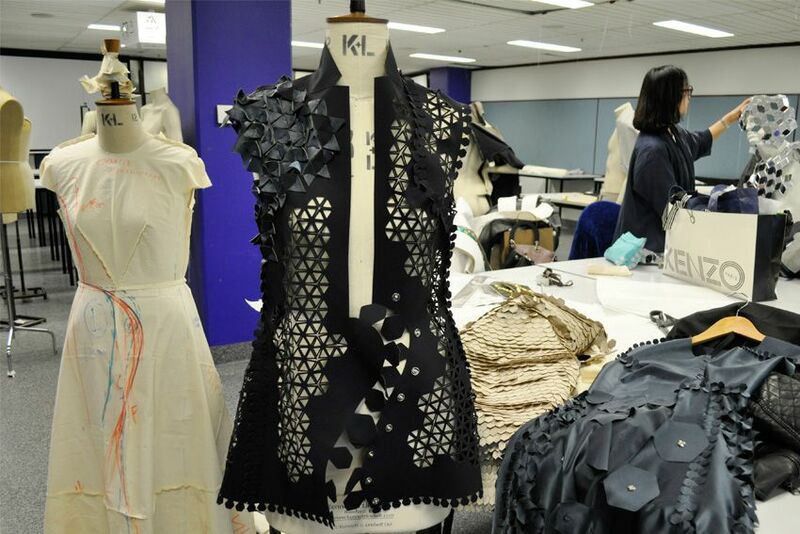 Hope you enjoyed part 2 of my exclusive look behind the scenes at the RMIT Fashion graduating class of 2013. I also have an exciting announcement to make, I'm a panellist on Super Size Me? 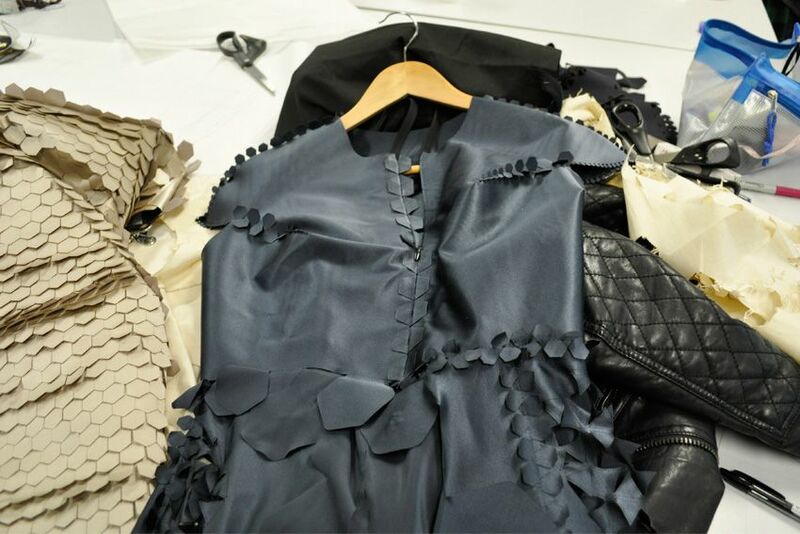 A forum on size and consumer demand as part of MSFW. 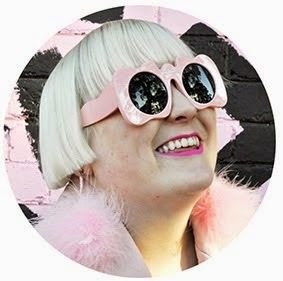 Along with Mel Campbell, author of 'Out of Shape: debunking myths on fashion and fit' and other esteemed guests we will be addressing sizing, fit and diversity. What’s normal in sizing? Is this a problem, and if so how are your favourite labels addressing it? Are you a satisfied consumer? Ask questions, share your experiences, and discover what is ‘the new normal’ in sizing. You (and this talented bunch) did not disappoint with part 2! I love that they're all so innovative but i'm particularly blown away by Jack's designs. All of the textures he's created are amazing. The blue felt creeping up on to the sheer white on that dress is breath taking. I want everything! I wish i was in melbourne so could come along to check these guys out.